The two former Gardner Denver Nash German service sites at Wetzlar and Nuremberg have now been integrated into the larger service centre in Nuremberg. The Wetzlar service centre has been closed and a new aftermarket sales office has been opened nearby. Following a six-figure investment in machines, installations and workstations. 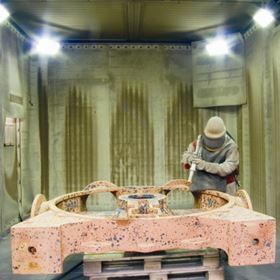 the new Nuremberg site has increased capacity in the coating and sand-blasting areas, the repair times have been reduced and there are better synergies in warehousing, new pump assembly and mechanical manufacturing. The service activities also benefit from the existing on-site manufacturing capacities.